PN10 insulating joints are steel joints used for the sectioning of low pressure (10 kg/cm2) service lines for gas and water. Insulating joints provide cathodic protection in all piping systems and serve as a positive leak proof long lasting block against the flow of electrical current. The installation of insulating joints on service lines guarantees a superior security of the pipeline and significantly reduce maintenance costs. 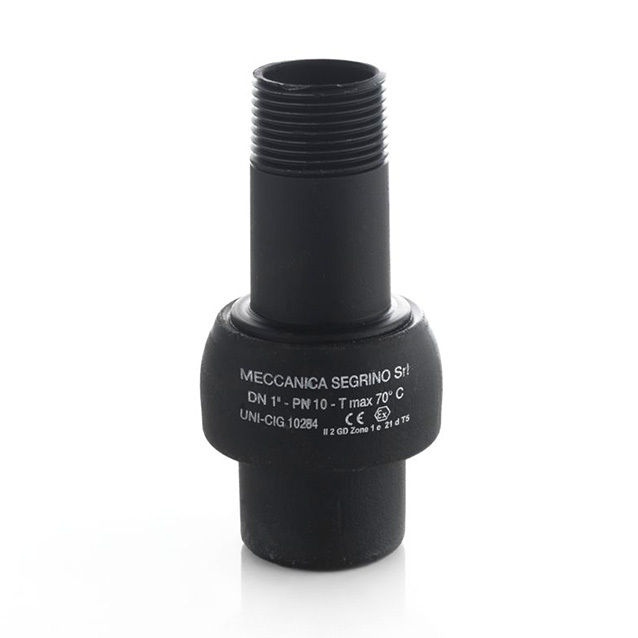 The Male-Female PN10 joints are threaded joints (external taper thread and internal parallel thread ISO7/EN10226-1) completely factory assembled. These characteristics make the installation easy and fast. 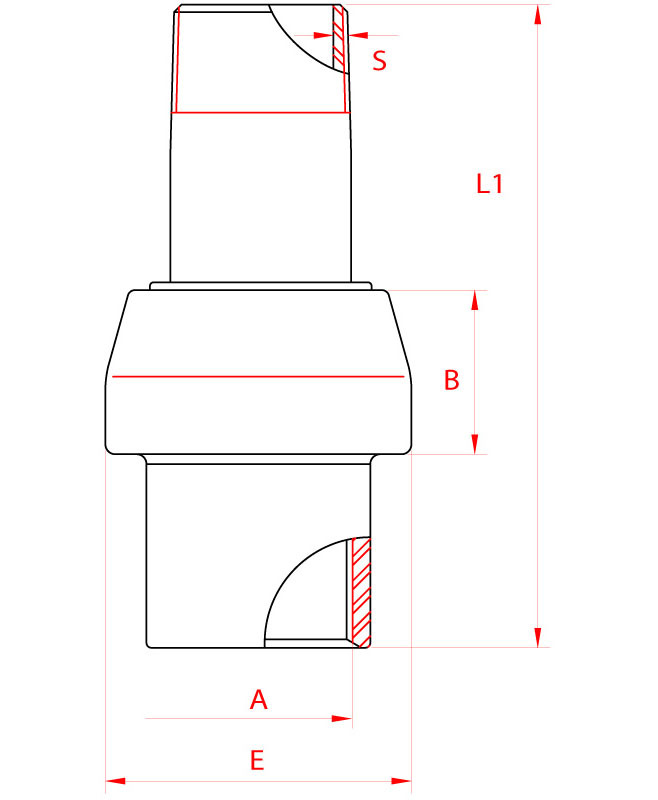 Male Female PN10 joints are available in small diameters ranging from ½ in up to 4 in (see the whole range of diameters available in the table below). PN10 Male Female insulating joints are supplied from stock.